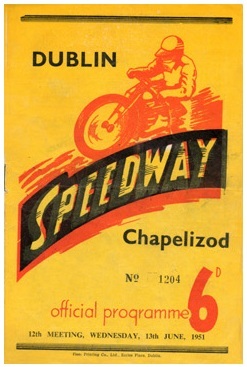 The Dublin speedway team operated from a number of venues, including Shelbourne Park Greyhound Stadium, but on 19th August 1950 the team raced at Chapelizod Stadium in Dublin. 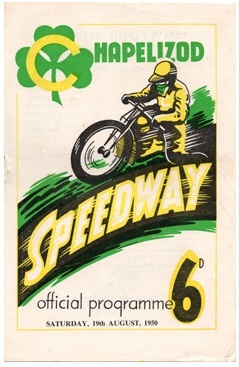 At their inaugural meeting at the stadium the team were cheered on by a crowd in excess of 12 thousand. They managed an exciting 42-42 draw with Liverpool. 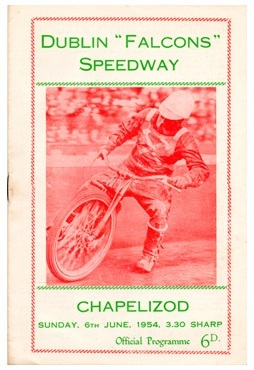 They operated as an Open team until 1954 when the ground was used, instead, by the Football team. 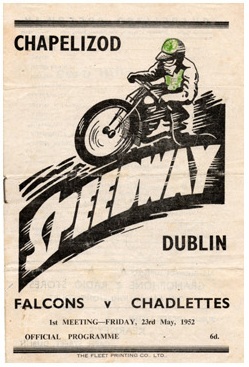 Through their time at the stadium the team were known as 'Lizods', 'Eagles' and 'Falcons'.